Chapter 2 Page 22 is up. Blaise and Jassart get the shock of their lives. 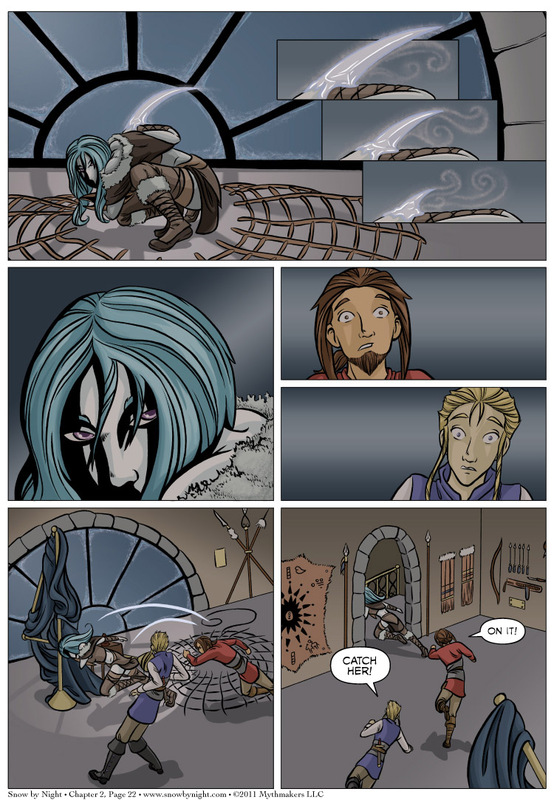 For a preview of Wednesday’s page, be sure to vote for us on Top Web Comics. Nifty little trick with the ice blade. Looks like Blaise and Jassart caught more than they bargained for. Fantastic!! I am in so much suspense! Good! I was hoping that I was looking at her face all this time in your title. And that her name is . . . Snow? oooohhhhh… it’s so pretty. can’t wait for the next pages!